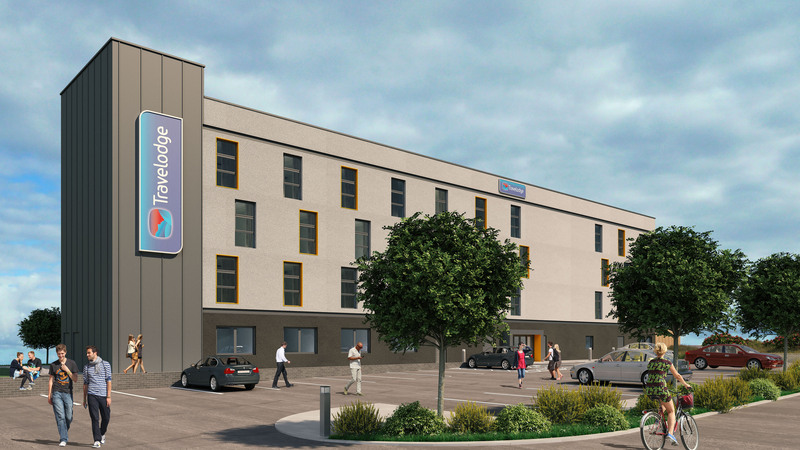 The Travelodge scheme on Rhyl’s waterfront has begun construction following enabling works in late 2017. The development includes a 73-bedroom Travelodge with a car park and a 150-cover Marstons pub and restaurant. Built on the site of the East Parade car park, it forms an integral part of the £25m Rhyl Waterfront regeneration scheme led by Denbighshire County Council. Funded by a private investor, the development follows an interesting structure where the client, Denbighshire County Council, will hold the head lease or shielded lease for the development. This structure, only just emerging, allows the council to support the funding with their covenant, increasing the property yield and allowing Denbighshire County Council to make a small profit on the scheme through rent. It is only the second time this type of development structure has been used after the model was piloted with a Travelodge development in the West Midlands. The Travelodge is the second part of the £7m Waterfront development scheme being led by Ion on behalf of Denbighshire County Council, after Ion completed exterior refurbishment works to sections of the Pavilion Theatre and car park and the conversion of the Sky Tower into a light beacon.